The Death of Free Speech: CPAC EXPOSED (2009-2013) | the "silent" majority no more! CPAC (Conservative Political Action Conference) 2013. 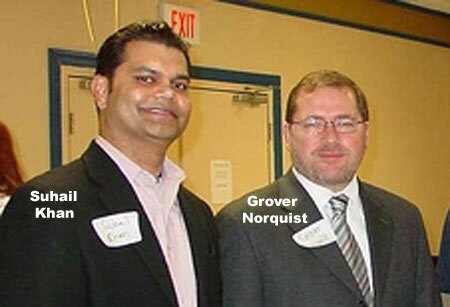 Suhail Khan and his pal, Grover Norquist, are the “movers and shakers” (who sit on the CPAC board) behind the shut-out of Robert Spencer and Pamela Geller at CPAC 2013. Their literature reveals, perhaps, their real intent, particularly in regards to Geert Wilders’ appearance at CPAC and his documentary, “Fitna”. Apparently by 2010, Muslims For America had ‘enough’ of the Republican party. According to Wikipedia , they left the Republican Party due to bigotry against Muslims and the lack of support for Park51 aka The Ground Zero Mosque. But, CPAC 2009 seemed very supportive. CPAC allowed “Muslims For America” to participate officially but were most unhappy that Robert Spencer and Pamela Geller were hosting Geert Wilders (unofficially). CPAC permitted “Muslims For America” to “educate” CPAC attendees but denied any debate as to the veracity of their message. No welcome-mat from CPAC for the great Geert Wilders, or Geller, Spencer and their guests. No opposing points-of-view allowed. Shameful behaviour on the part of CPAC in 2009, 2010,2011 and 2012; ESPECIALLY in 2013. CPAC has shown the world what DHIMMITUDE looks like. Yet, Muslims For America claimed Muslim bigotry drove them away from the ‘Republican Party’ in 2010. Did this include CPAC? 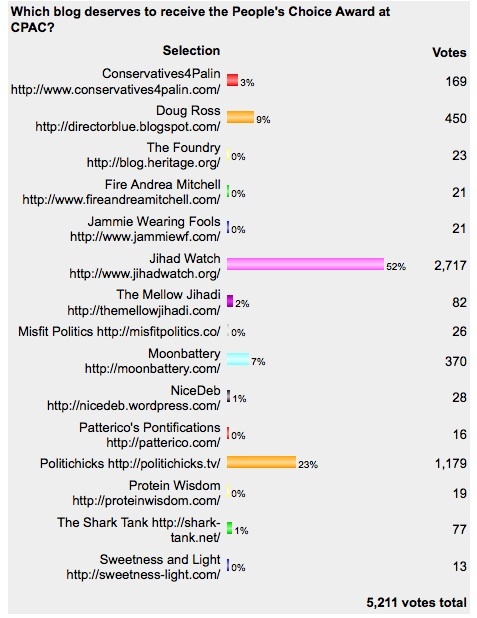 “…there was a slight problem: the Tea Party group, which co-sponsored this People’s Choice Blog Award, didn’t want to allow me to receive it at CPAC next week unless I promised not to criticize Grover Norquist and Suhail Khan as I accepted the award. 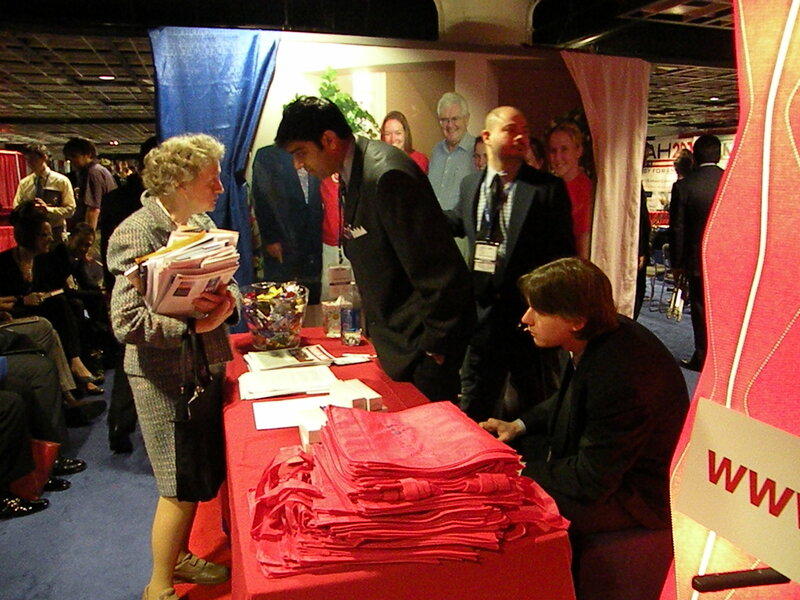 Flashback continues with CPAC 2009 and “Muslims For America” opposition to Geert Wilders. By 6 PM, on February 27, 2009, the ‘Muslims for America’ moved up to the Blue Room… still handing out there anti-Wilders literature and then entered the ballroom. They sat at a table in the back of the room with a surly demeanor. Many wondered if this could have been handled differently, as their presence seemed to influence Mr. Wilders security to leave during the showing of Fitna. Granted he’d had a full day and was exhausted, but these Muslim malcontents were permitted to sit amongst those who came to support Mr. Wilders and their hostile demeanor was quite obvious. Prior to Geert Wilder’s speech and the showing of “Fitna”, Dr. Spencer responded to the flyer that was handed out by “Muslims For America” . Flyers that claimed the Koran passages used in Fitna were taken out of context. As usual, Spencer was in great form and absolutely shows that he DOES know what he’s talking about. Is Suhail Khan LISTENING?? Perhaps Norquist and Khan might have wanted “Muslims For America” on-site with their “We are Patriotic Americans” message year and every year, to oppose Islamophobes like Geller and Spencer, et al. Since they didn’t become disenchanted with the Republicans til 2010, where did they go? Did they just appear at CPAC for the purpose of opposing Geert Wilders? One last thought on 2013 and the DEATH of Free Speech. From 2009 to 2012, in spite of the opposition, Pamela Geller and Robert Spencer returned. Geller and Spencer returned each year with ground-breaking events that CPAC was sorely lacking and the CPAC attendees for ALL of the Geller/Spencer events filled the rooms to capacity (as ALWAYS) and CPAC was made all the better by these presentations. BUT, they were ignored by CPAC (as ALWAYS). Dhimmis all. So, as CPAC continues its war against Free Speech by shutting out Geller and Spencer, I’m including one more flashback from CPAC 2009. More on CPAC’s dutiful dhimmitude. I watched Cleta step-up to intro Horowitz. But, why? It wasn’t 3 PM. So I called Geller on her cell. I said” Where are you? I can’t believe what’s happening.” (Geller was almost there) Horowitz was gracious, as expected. He let Cleta finish and then Geller went up and introduced him… as INTENDED. But, Norquist and Khan have returned year after year, embedded deeply within CPAC and determined to kill any ideas that might promote Free Speech. They have been ignored as ‘friendlies’, just as they intended. Stealthfully taking over CPAC, one month, one day, one year at a time and the CPAC tools remain CLUELESS! CPAC’s dhimmitude and the Norquist/Khan taqiyya-machine is alive and well. They continue to infiltrate and subvert any conservative movement, CPAC especially. Despite Herculean personal problems — my husband had a massive stroke in 2009 and, as a result, I can no longer be as active in the counter-jihad movement as I once was — I moved heaven and earth to attend CPAC 2010 for the purpose of attending the inaugural event of AFDI. As you know, the event was packed! In 2011, my American Government homeschool class attended CPAC. You can read one student’s comments about Pamela’s speaking truth to power at CPAC 2011 HERE. It is no wonder that shari’a lovers and dhimmis don’t want Robert and Pamela at CPAC 2013!